The events listed below are open to 4-H'ers statewide. They are generally held during the months listed. For specific dates and event details, please click on the links below to go to our Events Calendar, which also lists other events not organized by the state 4-H office. 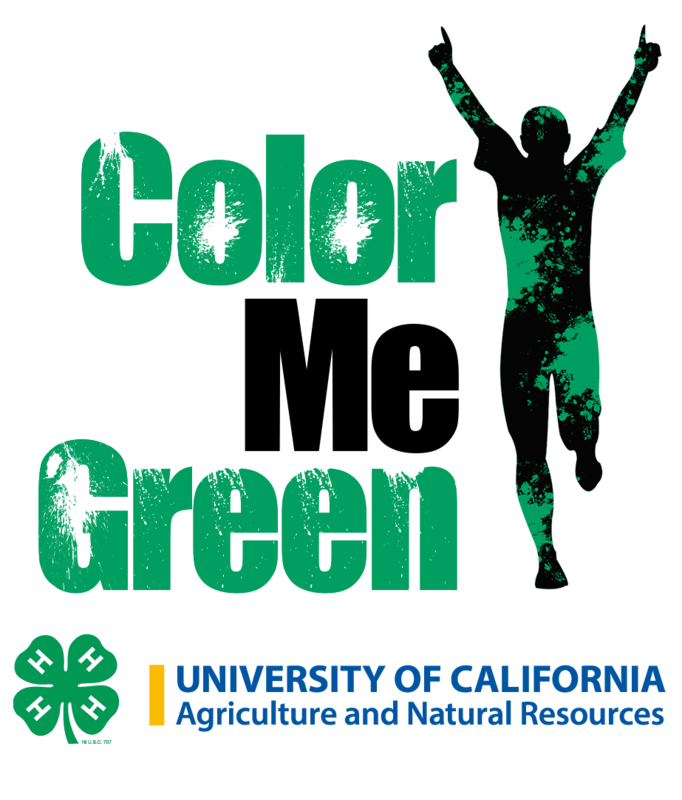 The California 4-H Shooting Sports Program instructs 4-H youth on the skills and discipline of shooting sports. Participants learn about the safe handling of firearms and archery equipment while developing self-confidence and leadership abilities. 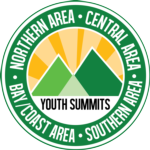 Youth summits are three day weekend leadership conferences hosted in multiple locations throughout the state. Youth are welcome to participate in any Summit. One summit is held in each Area. Sponsored by the California 4-H Management Board. The 4-H Equine Field Day is an educational event for youth and adults. In the spirit of "color runs", the theme, "Color Me Green" refers to the green powder used to splash runners who complete the 5K run. Color Me Green 5K Runs can be scheduled throughout the year, but most are during the month of March. Ag Day at the Capitol is held yearly on the grounds of the State Capitol in Sacramento. Sponsored by the California Department of Agriculture, this event celebrates the contributions of the agriculture industry in California. 4-H is an active participant in this event to engage legislators and the public with our youth and their ag projects. 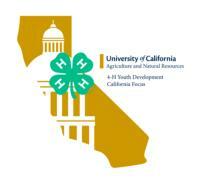 Area Presentation Days are organized by the California 4-H Management Board. 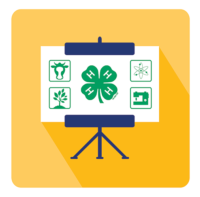 4-H youth who have achieved a gold medal at their county level event are encouraged to present at an Area Presentation Day. Gold medal recipients at an Area Presentation Day are eligible to participate in State Presentation Day, held during State Field Day. National 4-H Conference is the pinnacle experience in 4-H Citizenship. National 4-H Conference delegates engage in personal development experiences that increase their knowledge, resources, and skills while they discuss topics affecting youth and 4-H programming nationwide. The 4-H Camping Conference is held every two years. 4-H teen leaders, volunteers and staff learn ways to improve their camping programs through interactive workshops and activities. The next conference is on April 6-8, 2018. 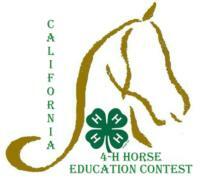 The California 4-H Horse Education Contest allows 4-H members to showcase the culmination of their efforts n their equine projects throughout the year. Members are able to showcase their equine knowledge in three contests: Hippology, Horse Judging, , and Public Speaking. *Qualifying event for the Western National Roundup held annually in January in Denver, CO. The Animal Science Symposium is a train-the-trainer professional development conference with educational sessions on animal welfare and animal health led by specialists on animal welfare, animal health, and species-specific issues. This event is for 4-H staff, adult volunteers and Future Farmers of America supervisors/teachers. California Focus brings together 4-H'ers from across California to experience California’s government in action with participation in the legislative, political, and judicial processes in our State Capitol, Sacramento. This event is held in even years. The next one is in 2020. Citizenship Washington Focus (CWF) is more than a Washington, D.C. field trip – it’s an opportunity for high school 4-H’ers to learn how to be citizen leaders and make a difference in their communities. 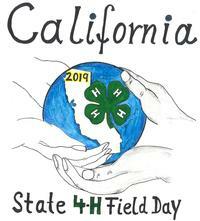 The annual California 4-H State Field Day is the largest and most comprehensive educational event for 4-H youth members and 4-H volunteer educators. 4-H'ers from throughout the state come together to compete at the state level for various competitions. Learn more about the individual contests and activities on our State Field Day event page. Leadership Washington Focus (LWF) is for middle-school aged 4-H'ers. It has a focus of life-long civic empowerment and engagement. LWF brings together 4-H delegations from across the country to engage in civic discussions and problem solving, giving participants the chance to learn about different experiences and perspectives. The popular 4-H State Leadership Conference (SLC) brings together youth from across California for a four-day leadership training, networking, and learning experience. The entire conference is planned by volunteer youth and young adults. The youth who place at the Platinum and Gold levels at the State Field Day Presentation Day competition are eligible to present in front of a live audience at the State Fair. Come by to see some of the best presenters in 4-H! 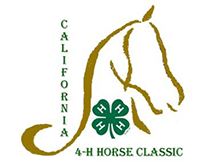 The annual California 4-H Horse Classic allows 4-H members to showcase the culmination of their efforts n their equine projects throughout the year. It includes a State Championship Horse Show and Educational Contests. 4-H National Youth Science Day (NYSD) is the world’s largest youth-led science experiment. Every year thousands of youth take part in the National Science Experiment focusing on important STEM topics and issues. At the 4-H Mindfulness Retreat, increase and gain personal skills in leading a healthy lifestyle and to be a healthy advocate in your community. Adult chaperones are needed for all overnight activities. See the requirements, responsibilities and applications to become a chaperone for various events offered by the state 4-H office. Give the gift of a 4-H experience! You can give 4-H'ers a gift certificate good towards leadership and healthy living conferences. By implementing the tips provided, you can ensure that you are doing everything possible to help your 4-Hers grow up able to form lasting relationships, deal with stress and their emotions, make healthful dietary choices, engage in physical activity to promote optimal growth of minds and bodies, and avoid unnecessary risks. These areas are found to be some of the most important for success in life.